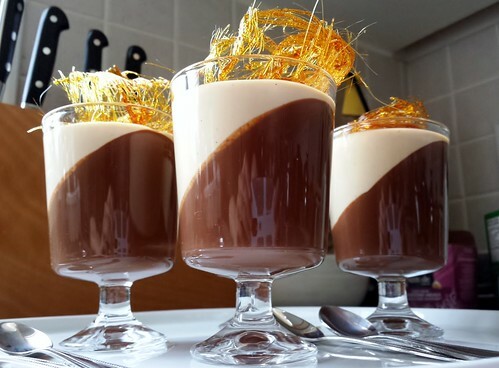 Using Gourmet Traveller’s recipe as a starting point, I began experimenting. I started with using only 2 teaspoons of powder gelatine and my gelée stubbornly refused to set after a whole afternoon. I added another teaspoon of gelatine and it was still nowhere close to solid. Finally, another 2 teaspoons of gelatine and four hours later, my dark chocolate bourbon gelée finally set into a delicate wobbly state. 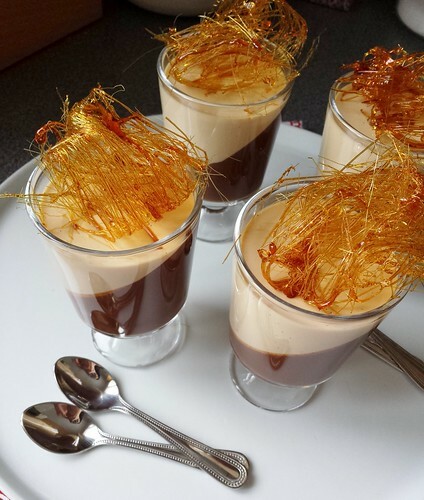 Taking a cue from the caramel undertone of bourbon, I added a second element to my verrine with caramel panna cotta. The Kitchn’s Faith Durand wrote at length about the basics of panna cotta. At its heart, this is sweetened half-and-half set with gelatine. 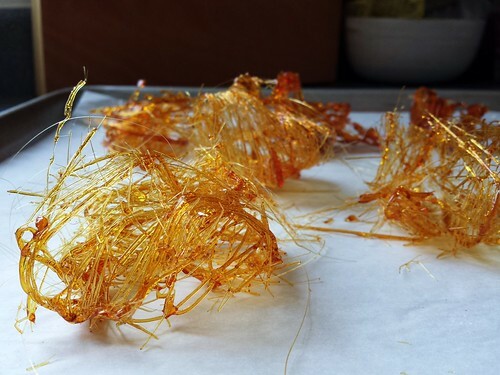 I cooked the sugar into an amber caramel and added warm half-and-half along with bloomed gelatine. A teaspoon of vanilla bean paste contributed another layer of flavour complexity. It took a grand total of 10 minutes including clean up. How easy is that? The two tone layer dessert looked quite stunning on its own thanks to a simple trick of setting the layers in a tilted glass. However, it was still missing something. I went for a flamboyant garnish of spun sugar nest and my ideal dessert was complete. 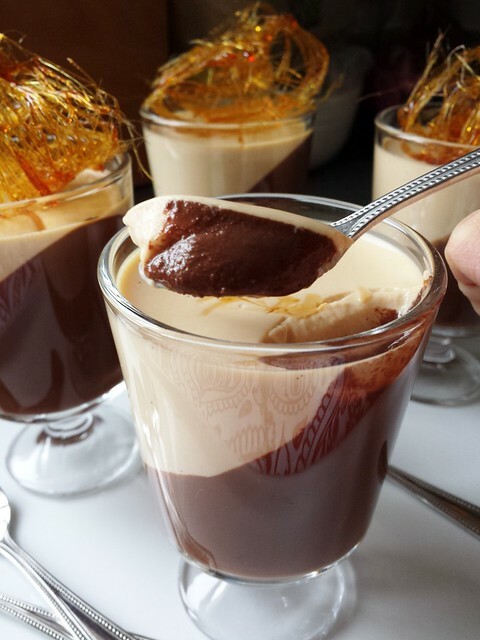 Each wobbly spoonful embodied everything I looked for in a Valentine’s Day dessert. The intense dark chocolate flavour shone without being muted by dairy. The bourbon and caramel mingled and complemented. 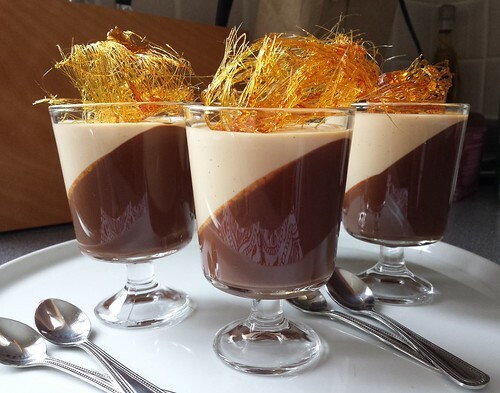 The delicate panna cotta added a touch of richness without being overwhelming. Best of all, this light dessert satisfied instead of being overly indulgent.